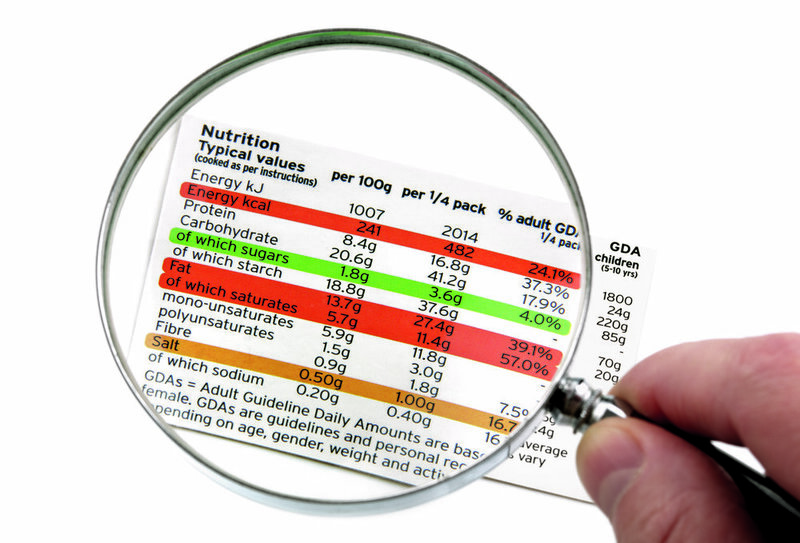 Food labels are notoriously difficult to understand, but taking the time to educate yourself on how to read them can help you to ensure that you’re getting the most out the food you eat. We spoke with dietician Sarah Keogh about the essential information you need to be mindful of the next time you read a food label. “For me the key thing to always look at is the ingredient list, because the first thing on the ingredient list is the thing that’s there in the largest amount. So if sugar is the first thing on the ingredient list then you know that’s the biggest ingredient in there…” says Sarah. After the ingredient list, the next thing to take stock of is the traditional nutrition table. “I find there’s not a lot of people who will read the whole nutrition table, most people will look at one thing. They might look at calories, that would be the most popular, followed by fat. Sugar was always in there but it’s becoming more of a thing people look at these days,” says Sarah. The issue with sugar, says Sarah, is that there are no “hard and fast rules” regarding it because some sugar can be natural as opposed to added. So how much sugar is too much sugar when you’re reading a food label? “Sugar isn’t considered high until you have 22 grams of sugar [per 100 grams]. So anything between five grams and up to 21-22 grams would be considered a moderate amount. I see an awful lot of hysteria about, ‘Oh my god, there was 16 grams of sugar in that!’ and you’re going okay, it’s the equivalent of about four teaspoons of sugar, but you know, two of that is the natural milk sugar, one of that is the strawberry and one of that is the one teaspoon of added sugar. I wouldn’t be too worried about it,” says Sarah. Trying to watch your sugar intake? Sarah advises avoiding the big sugar sources in your diet. “The thing to look at is the big sour sources and the foods that aren’t giving you any other nutrition. So if you look at something like soft drinks, it’s just sugar. There’s no vitamins, minerals, proteins – nothing. Another piece of information that help you make the best choice when reading labels is the Recommended Daily Allowance (RDA) percentage. “[The RDA percentage] is to give you a rough idea of where [the food] sits, because if you say to someone, ‘Oh that has five grams of fat,” most people have no idea if that’s high or low. What does that mean exactly?” says Sarah. And the last bit of information it’s worth paying attention to? Finally if you’re not a fan of reading labels, the best thing you can do is to cook more using fresh ingredients, as that way you’ll always know exactly what you’re eating.